My perennial mistake, which was especially prominent in the current brain-death controversy, is to assume that if I write something carefully, people will read it carefully. I should not have been surprised that many people are strongly condemning what I wrote based on a careless reading of it - because this sort of thing has happened many times before. And I should not have considered it adequate to make important points once - if something is important, it should be repeated again and again and again. In this post I would like to highlight, address and dispel the most common misunderstandings of my approach and criticisms thereof. The examples of the misconceptions about my views are from comments on R. Maryles' blog and elsewhere. Example: "My main issue with his approach is that who says that the body's life does not have intrinsic spiritual value on its own even if one says the neshama has left and only a nefesh remains (since the nefesh is in the blood, and the blood is pumping, I assume it remains)? By allowing one to "kill" a brain-dead person, it is treating the human body without a mind as an animal." What My Position Really Is: Indeed, it could well be that one may still not kill a nefesh without a neshamah (although I strongly suspect that Chazal and the Rishonim would judge otherwise). My point was not that brain death is death; it is that those who rule on the matter without considering the significance of Chazal's knowledge and options available have not performed a proper analysis. Example: "R. Slifkin's error lies in his apparent assumption that the halacha is based on scientific facts - or more correctly, on the conclusions scientists might draw from a given set of factual circumstances. To me, this assumption is rather unfounded, and is quite inconsistent with our notion of the halacha as a system of law - a system with its own internal logic and its own internal philosophical system for viewing the world and its phenomena." What My Position Really Is: I have repeatedly stressed that halachah is often independent of the scientific reality, for a variety of reasons. One example is the laws of bishul, where it is possible to cook something and not transgress bishul, and it is also possible not to cook something and yet to transgress it. Even in the case of defining death, halachah is clearly not identical to science; as I pointed out, science defines bacteria as being alive, whereas halachah doesn't. But sometimes, the halachah is built upon a certain understanding of the natural world - such as Chazal's ruling that one does not transgress Shabbos to save the life of an 8-month fetus, because it is not viable, and their ruling that one may kill lice on Shabbos, because they spontaneously generate. I argued that Chazal's understanding of physiology, and all the more so the medical options available to them, are likely to have affected their rulings on this issue, and therefore those who analyze it without taking this possibility into account have not performed a proper analysis. Example: "the obvious conclusion of RNS's approach is the wholesale elimination of much of Hilchos Tereifos... this is the line between Orthodoxy and Conservatism"
What My Position Really Is: If RYGB wants to condemn this position as being Conservative, then it is others that he is labeling this way, not me. His claim that "we are accustomed to assume that Chazal are the final arbiters of Halachah regardless of whatever thought process under-girded their rulings" is a condemnation of many great Acharonim and modern Poskim, who do indeed believe that halachah should change in response to our greater scientific knowledge - with examples being those such as Rav Lampronti, who forbade killing lice on Shabbos for this reason (as does Rav Nissim Karelitz and Rav Zalman Nechemiah Goldberg), and most Gedolim today,who forbid eating worms found in fish, against the Gemara. But unlike them, I personally do not believe that in general, our greater scientific knowledge warrants changing halachah. However, in cases of potential pikuach nefesh, virtually all Poskim do not rely on Chazal's formulations, but rather follow modern medicine - with the case of the 8-month fetus being a potent example of this. In fact, this case is much less problematic than that of the 8-month fetus. In that case, everyone simply overrides Chazal's formulation and effectively acknowledges it to be wrong. In this case, Chazal's formulation was absolutely correct, given the circumstances - if I went back in time 1500 years, and was checking signs of life in a body buried under rubble, I would also be looking to see if the person is breathing, not doing a scan of brain activity! 4. Misconception: That I am advocating working outside of the halachic system in this case. What My Position Really Is: We need to do the same in this case that we do in similar cases of medical halachah, such as with Chazal's ruling on the 7 vs. 8 month fetus. We look at Chazal's underlying value - in that case, that Shabbos is only transgressed for saving a life that is viable - and take into account that their particular application of that value may have been influenced by either their misunderstanding of fetal viability or the limited medical options available to them. So, too, here: Chazal's underlying values were the preservation of human life. But when considering their application of this value - their ruling that when checking a person buried under rubble, one checks his breathing (which some see as an indication of pulse), we must take into account the possibility that their particular application of that value may have been influenced by either their misunderstanding of physiology, or by the limited medical options available to them. Now, ignoring Chazal's application of their values is not the conventional way of following Chazal, which is why I don't believe that it should be done in the case of lice, or worms in fish - unlike many Poskim. But in cases of pikuach nefesh such as the 8-month fetus, this is the approach that most Poskim take. "But in cases of pikuach nefesh such as the 8-month fetus, this is the approach that most Poskim take." I think you are conflating issues here. It has been pointed out many times by people now, that the 8 month old fetus is a comparison of Shabbat to Life. So we always lean towards life. But the issue of brain-death is a question of killing vs life, and in that case we never go lenient on killing. Nobody, as far as I know, ever says that you aren't allowed to do CPR on shabbat for example, even though we would not force someone to do CPR if they did not want to. Rabbi Slfkin, you are a very precise, careful, and accurate writer. The misrepresentations must have a different cause than you suggest here. If that were definitively the case, then of course we don't go lenient on killing. But the whole question is as to whether that is actually the case! Indeed, that is possible, and I have some thoughts on that. Unfortunately, this argument cannot be solved by reason because there are basic axioms at stake. For many, their faith in Chazal's knowledge of science is a basic tenet. They cannot give it up without having the whole foundation of their faith destroyed. For others, such as me. The idea that people (even highly gifted people) living hundreds and even thousands of years ago know science the way we do is a pure and simple myth akin to the story of Prometheus. For me, the people who believe in the infallibility of chazal are idolaters. For them, I am a heretic. So we always lean towards life. Of course, and this gets complicated with a patient whose brain is dead, but whose other organs are healthy and have a viable recipient in dire need of one of those organs! "Unfortunately, this argument cannot be solved by reason because there are basic axioms at stake. For many, their faith in Chazal's knowledge of science is a basic tenet. They cannot give it up without having the whole foundation of their faith destroyed." Please demonstrate where the people who have misconceptions about R. Slifkin's POV have some bizzare faith in Chazal's knowledge of science. The problem, is that you assume that the people who disagree with you have beliefs which they infact do not have, and because of this, there is much misscomunication and misconceptions. Just as RYB(sp?) assumed that Slifkin's approach would destroy the halachas of Treifos, while R. Slifkin doesn't see how that could be possible. "Chazal would have forbidden removing a beam from on top of a person who was not breathing. Today we, presumably unanimously, would." Because of a change in capability, not definition. B"H, I did not misrepresent your views in any way! I fully understood and understand your positions in all these areas. If you would like to continue the conversation, as I noted in response to your previous post, for purposes of consolidation, I am trying to limit the conversation to the comments section on Emes Ve-Emunah. If RYGB acknowledges that Chazal followed the science of their times, and the science of their times said that the kidneys provide counsel and the heart makes decisions, on what basis does RYGB assert that Chazal were not speaking literally when they said that these organs have that function? Murder is absolutely wrong, and in a case of safek murder, we must go lechumra. 1) Chazal's statements about death depend upon and are limited to their knowledge of science, and not at all to some divine, metaphysical/theological idea. 2) Chazal's definition of death necessarily depends upon where the mind in housed in the body. Can you please provide an explicit source in Chazal or the rishonim for each of the two premises? That is, something more than your own conclusion that "it is likely..." "it is reasonable to say..."
If you cannot provide a source for each of these two premises, then we must allow for the valid possibility that Chazal's statements were divine and/or metaphysically/theologically based. And if that is at all a valid possibility, then changing their definition allows for the possibility of murder in the case of organ transplantation as is practiced today. If that is true, see the first statement above. If it is "flippant" to assert that Chazal were speaking literally re. kidneys, so presumably you consider that all the Rishonim and Acharonim who said that were also being flippant. Isn't that rather chutzpadik of you? If "Chazal are the final arbiters of Halachah regardless of whatever thought process under-girded their rulings", then what do you say about the various Acharonim and Poskim who say otherwise, such as in the case of lice? I would like, however, to pose a question to you. Courtesy of RMY Tzuriel's Otzaros HaMussar I learn that in 33 places Eliyahu HaNavi appeared to Chazal and in 6 places the Malach HaMaves appeared to Chazal. Do you accept these phenomena as true? If yes, then we B"H have common ground on which to hold conversation. If not, well, the gap will be a challenge to surmount! Tom, it's quite remarkable than in a comment to a post about people who misrepresent my view, you manage to misrepresent my view. Try reading the post again. I read through it very carefully. Please point out where exactly I am "misrepresenting" your position. 1. They were either wrong or flippant. (BTW, a friend of mine who is a great talmid chacham, Rabbi Dr. David Riceman, noted that in RSG's commentary to Sefer Yetzirah hetreats the various organs listed in SY (similar to the Gemara in Berachos and the Beraisa in AdRN) as sources of humours (nowadays we would say hormones) which affect mood. 2. They were/are wrong. R' Aharon Soloveitchik told me that had he been around in 18th century Italy he would have put the Pachad Yitzchak in cherem. But at least they erred l'chumra. Chazal's statements about death depend upon and are limited to their knowledge of science, and not at all to some divine, metaphysical/theological idea. There seem to be this whole focus on chazal having been mistaken about the science involved, but it seems thats irrelevant. The knowledge & technology did not exist then to revive people who stopped breathing, or whose hearts had stopped pumping. Before 1950 there was never a question on the definition of death, just on the diagnosis of death. So it is difficult to define death based on passages that are almost all giving a diagnosis. Also, bishul is bishul. See the Rambam. They were either wrong or flippant. Amazing.On what basis do you say that they were wrong - especially since, as was pointed out, you agree that Chazal followed the science of their day, and this is what the science of their day said? And why do you suddenly introduce "wrong" as an alternative to "flippant"? Why did you describe me as flippant, but give them the option of merely being wrong? And since I put much more thought and research into deciding how to interpret the Gemara than you did, and I am consistent with the Rishonim and early Acharonim whereas you are dismissing them, how dare YOU call ME flippant? They were/are wrong. R' Aharon Soloveitchik told me that had he been around in 18th century Italy he would have put the Pachad Yitzchak in cherem. But at least they erred l'chumra. And are they also on the borderline of Conservative? And did you know that Rav Nissim Karelitz and Rav Zalman Nechemiah Goldberg says that one should follow that view? 1. I never said Chazal "followed" the science of their day - just as I never said that they necessarily, or even probably, knew of scientific principles that were far in the future. 2. One who has learned Shas 101 times can be wrong (that's a metaphor!). One who has not is flippant. 3. They may be wrong, but they are not weaving a methodology of that specific case. 1. Were Chazal ahead of their times with regard to science or not? If not, then when they made a statement that was identical to what the science of their day said, how can you assert that it wasn't literal? 2. Have you learned Shas 101 times? If not, then aren't you being flippant to dismiss the view of all the Rishonim and early Acharonim? 3. They apply the methodology MORE broadly than I do. I don't apply it anywhere near as far! So your criticism of me is even more a criticism of them. One who has learned Shas 101 times can be wrong (that's a metaphor!). One who has not is flippant. I fail to see how Rabbi Slifkin is the one being flippant. He researches the topic in depth and brings a host of sources for his conclusion. Rabbi Bechoffer brings next to nothing and even admits that all he has done is a quick computer search. It's really unbelievable chutzpah. RYGB admits that he's done nothing more than a quick computer search, and he dismisses countless Rishonim and Acharonim whose views he has not even studied, and yet he has the audacity to accuse me - who carefully studied the topic and published an analysis of all views - of rushing to judgment and being flippant??!! To those who are wondering why their comments are not being posted: I've spent a lot of time on this topic, and I'm not willing to waste any more time with comments from generally hostile people, comments that are silly, comments which raise objections that I have already dealt with, comments that are just diversions or obfuscations, etc. IIUC, your questions to me are rhetorical. But mine to you was not. Can you please answer my question to you? Thanks! No, my questions were not rhetorical. And they were on the point. Please respond to them. I really don't see the relevance of your question. I'm surprised at you. Don't you realize that the Chareidi/YU yeshivish world has not the slightest interest in Emes? You live in that world and are trying to convince it? And then you are surprised that they "misunderstand" you? The Rambam said it long ago. These people are the modern day examples of people afflicted with the sickness of Kalam who have their "answer" and then try to use whatever reasons, however, absurd to establish it. There is no convincing these fanatics. The fact is that our practice IS dependent upon scientific reality. Whether the sun has set, whether a piece of meat is from a kosher animal -- these are empirical questions, not things one gets from texts. Natan, seeing as none of the maajor halakhic authorities dealing with this topic over the past years have adopted your approach or met your criteria for a proper analysis - what do you suggest be done? B'makom Sh'ein Anashim - Are you then ready to proclaim a Halakhic decision, since no one else - in your view - has done so? If not, what do you suggest, since it seems clear that none of the current Gedolim are about to change their tone? >2. They were/are wrong. R' Aharon Soloveitchik told me that had he been around in 18th century Italy he would have put the Pachad Yitzchak in cherem. But at least they erred l'chumra. That's a beautiful, confident position akin to the alleged incident where his brother declared that he would have thrown the Meiri out of his shiur for saying a certain peshat that a student protested was said by the Meiri. But it doesn't make RAS more correct than the Pachad Yitzchak, it doesn't make RYBS more correct than the Meiri and in fact it isn't even a way to be masbir which of these are the stronger opinions. R. Yitzchak Lapronti was one of the gedolei Italya, and he needn't have cowered before RAS any more than R. Shimshon Morpurgo needed to before R. Aviad Sar Shalom Basilea, his great critic. In fact I have found this attitude to be the root of much negativity: "We are right because we are really, really strident about it" is not an argument. Is your answer really "they are wrong"? So Slifkin's answer is that you are wrong. I guess it will be a battle of how many bochurim the two sides can convince, but that also is not a way of coming to the truth. >But mine to you was not. Can you please answer my question to you? Thanks! With all due respect, that was a tzitzis check. I don't know that your motivation was to generate a scoop from Slifkin, but surely you could see why that seems possible to a reader. You may have framed it one of trying to know what the common ground is, but you know he is on the hot seat and have already attributed to him a Conservative approach (which, as we both know, lies somewhere between Maronite Christianity and Molech on the scale of a no-no in the Orthodox Judaism we were both raised in). Furthermore, even if you really only want him to put it in his own words, I think we all know full well that however you believe Chazal was visited by Eliyahu ha-Navi Slifkin cannot, by his own approach see it the same way (and nor could the Rambam and many others). Am I being too mean in suggesting that the reason why you are so gung-ho for the resurrection of the Jewish Observer is because 15 years ago it was you [the collective you] with a platform to say a Slifkin is being too flippant, but the flipee had no real way of responding, let alone those in his corner? Has the scale tipped? I say this not as an attack, and I am sorry if it seems like it. Please just think about it privately. RYGB- In the issue of defining death, if you are going to take the position that there is an unchanging definition that Chazal held, you need to establish exactly what that definition is. For example, many seem to think that the unchangeable definition of death held by Chazal is "death is known when circulation has irreversibly ceased" or something like that. The determination of irreversible in fact has changed with the prowess of modern medicine. In fact, since cpr(pushing on the chest) produces circulation(a measurable pulse), circulation has irreversibly ceased only when enough time has elapsed for the arteries to disintigrate, which takes at least days if not more. Therefore, if you hold that particular definition of death, you can no longer declare someone dead after their heart stops for 20-30 minutes, but have to wait for days. Also, you now have to explain why establishing circulation in a mummy(hooking it up to a pump) does not re-establish life. In other words, defining death as the irreversible cessation of circulation no longer makes logical sense when circulation(and therefore life, by this definition) can be provided by a machine or just by pumping on a chest. You need to establish which particular piece of anatomy or tissue needs to be the beneficiary of that particular function. Rabbi Slifkin: I am on your side, and I understand your beni provoked by RYGB. But your Jan.17 8:03 comment was intemperate r and ill-advised. R' Slifkin, this may be off topic, so may wish not to post it. But the topic is right up your alley. "The Jewish tradition of burial on the day of death was opposed by the German Enlightenment which feared that people were being buried alive. This lecture will explore the edict passed by the Duke of Mecklenburg in 1772 requiring the Jews to delay burial for three days. The Jews petitioned Rabbi Emden and Mendelssohn to offer opinions on this edict. Their debate highlighted the challenge of integrating the scientific and medical advances of the Enlightenment into Jewish practice and law." It is not a tzitzis check. It is germane to a discussion of Chazal and their perspicacity to know where we stand in regard to their stature. I haven't a clue why RNS and I must, per-some-force, understand Gilui Eliyahu differently. And, if you peruse the essays I wrote in the JO, you will realize very quickly that, if anything, my agenda in using it as an effective vehicle is the diametric opposite of what you suggest. Too harsh, I think either tmimim or tipship. Courtesy of RMY Tzuriel's Otzaros HaMussar I learn that in 33 places Eliyahu HaNavi appeared to Chazal and in 6 places the Malach HaMaves appeared to Chazal. Do you accept these phenomena as true? If yes, then we B"H have common ground on which to hold conversation. If not, well, the gap will be a challenge to surmount! Your question implies that Rabbi Slifkin is a heretic and reveals that you are not interested in the truth. I am shocked. The phenomena are unquestionably true but what did you learn was the meaning of 'appear'? I have a question for you. The Gemorah says that the 'smallest' of Chazal could resurrect the dead. How do you understand this? The fact is, RYGB or anyone who says halacha operates independently of science and under its "own internal logic" does so because he feels forced to defend the halachic system. In the time of chazal they never would have said any such thing. They didnt say a darn thing if they thought it contradicted science. Every pronouncement of their - be it upon astronomy, pharmacology, astronomy, or zoology - was in keeping with what they thought was factually true. Today, though, we are willing to accept patently false and patently illogical halachic conclusions on the basis of the claim that "halacha is independent of science and logic". Why this? Because the alternative is throwing out portions of our tradition, which could lead to throwing out all of our tradition. Because of this fear, men came up with a rationale they knew quite well to be a lie. We are still operating under this lie. Many have made the calculations and concluded that it's worthwhile continuing this lie. But between us we should be aware of the truth, or at least not be so strident about the whole thing. This question is pertinent because part of our difference of opinion lies in our differing attitudes towards Chazal. Neither of us hold they were infallible, nor that they necessarily had access to advanced medical and scientific knowledge. But I believe they were Ba'alei Ruach HaKodesh and that belief has ramifications here. It is important for me to know to what extent we share this belief. Gilui Eliyahu seems like one reasonable gauge of such belief. I understand Gilui Eliyahu as does the last Ramban in Bereishis. IIRC, the Rambam (l'shitaso) holds it is a kind of prophecy. IIRC, it was the talmidim of Hillel the smallest of whom could be mechayeh meisim. Be that as it may, I understand it to be in the manner in which R' Yochanan resurrected R' Kahana. If you have a friend who is a mekubal can you please ask him what he thinks of Rav Saadia's interpretation that ten sphiros in Sefer Yezira refer to the numbers of the decimal system? On page 201 of Emunos veDeos he explains that the soul resides in the heart, but what is his reasoning? Rav Saadiah here uses contemporary science to decide location of the soul. Mad Hatter wrote: "I'm surprised at you. Don't you realize that the Chareidi/YU yeshivish world has not the slightest interest in Emes?" Rabbi Slifkin, why do you let this calumny pass by unremarked upon, or why did you let it get posted at all? understand Gilui Eliyahu as does the last Ramban in Bereishis. IIRC, the Rambam (l'shitaso) holds it is a kind of prophecy. So one can understand gilui Eliahu differently from you or not? I want to get to the bottom of it. I understand it to be in the manner in which R' Yochanan resurrected R' Kahana. Can you please tiech it up for me? I want to get to the bottom of this one as well. "But I believe they were Ba'alei Ruach HaKodesh and that belief has ramifications here. It is important for me to know to what extent we share this belief. Gilui Eliyahu seems like one reasonable gauge of such belief." S. had it right - this is a tzitzis check. There's no reason for RYGB to have to know RNS's views on this. Instead, RYGB should specify exactly what HE believes the ramifications of Chazal's alleged ruach hakodesh are, for their statements about physiology. Besides, there's no way that Rambam believed that Chazal had supernatural insight into things. "If you have a friend who is a mekubal can you please ask him what he thinks of Rav Saadia's interpretation that ten sphiros in Sefer Yezira refer to the numbers of the decimal system?" You are not understanding Rav Saadia properly if you think that is what he believed. Of course. I just would like to know how. R' Avrohom ben HaRambam says that the Gemaros about Chazal being mechayeh meisim are not literal. (That is not to say they are metaphorical - it's a bit complicated - see his ma'amar on Aggados). That is certainly a more than acceptable position. I personally find most acceptable the approach that they fall into a more literal "tzaddik gozeir v'HKBH mekayeim" area. >It is not a tzitzis check. It is germane to a discussion of Chazal and their perspicacity to know where we stand in regard to their stature. Why do you think he can't hold what he does even if it turns out you have an identical understanding? And what if you don't? And why davka this as a litmus test? Why don't you ask him if he holds that if the Chazal may have seen themselves as donkeys, and not even Rabbi Pinchas ben Yair's donkey, than what are we? >I haven't a clue why RNS and I must, per-some-force, understand Gilui Eliyahu differently. >And, if you peruse the essays I wrote in the JO, you will realize very quickly that, if anything, my agenda in using it as an effective vehicle is the diametric opposite of what you suggest. I don't mean you per se - I said the collective you. Your articles were very good and I always enjoyed them. But do you not see that you were an establishment insider? When, to give a random example, the Jewish Observer felt it needed to make its pages available to attack Dr. Norman Lamm's book Torah Umadda, it permitted no free rebuttal, even though at least two were written and (if memory serves) submitted. It was a closed system and a bully pulpit. I'm not saying that this was your fault or, again, that your articles weren't good or even that there weren't many good articles. Not everything was polemics, and even some of the polemics had merit (feel free to hold the opinion that they all did; I of course don't claim my opinion is the only valid one). But imagine for example how Slifkin would be treated in their pages, without him or someone else given an opportunity to rebut. This is what it was like 15 or 20 years ago, and I hope I can be forgiven if I perceive that the loss of such a platform being bemoaned by the only ones who had it. Certainly what is going on in this thread right here would have been impossible. Even if the JO would be revived, what it was 20 years ago it could never be again. In any case, to get back to some of what is being discussed in the thread, I think we are essentially dealing with challenges forced by the fact that outside sources and influences are harder to obliviously reconcile with our old religion. As I wrote in another thread here, the Chasam Sofer used celery for karpas because "karpas" means "celery" in Arabic. That is, he felt that this cognate Semitic tongue shed light on the meaning of Chazal's karpas. Doesn't that sound Conservative? But 200 years ago it was apparently less obvious why actually basing a Pesach night practice on comparative Semitic linguistics was a threat. So we don't do that anymore; today people would do it because the Chasam Sofer did it. But make no mistake, to avoid doing such things is not "Emes" any more than to do it is "Emes." And here would be a good place to mention RSZA's statement that "we" don't accept Professor Felix on Shiboles Shual or chrein. It's playing defense, which may be a noble posture, and even absolutely necessary, but those who know what's going on are simply not going to be persuaded that it's really all straightfoward Emes, just where the sources take us in the same, unchanging traditional closed system. >>>> Neither of us hold they were infallible, nor that they necessarily had access to advanced medical and scientific knowledge. R’YGB … i suppose it would be futile for me to point out to you the uselessness or impracticality of simultaneously believing in both these dicta. Firstly, upon consideration, I am not sure what is wrong with a "tzitzis check." Secondly, I was contemplating asking RNS about the rishonim k'malachim. It's basically the same question, with a different jump-off point. When I went to Rav Yitzchok Koolitz zt"l to get semicha, I told him a shtickel Torah on Hil. Melichah. At some point I said הש"ך טעה. He gave me that smile that an Adam Gadol often gives you just before he is about to rebuke you and said לא מתבטאים ככה על הש"ך. He was right, of course. It's the same thing that your Rebbe was telling you when he said that we don't call an Amora a "guy". If you don't have אימה, יראה, רתת וזיעה before saying Chazal "made a mistake" - and even then not saying it, really, but לא זכיתי להבין - you have no business in the world of psak. If you don't have אימה, יראה, רתת וזיעה before saying Chazal "made a mistake" - and even then not saying it, really, but לא זכיתי להבין - you have no business in the world of psak. 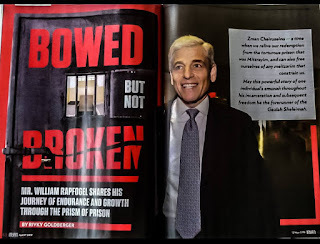 Of course, many of the Gedolim today would say that since RYGB is ready to say that Chazal on occasion followed the science of their times, he himself has no business in the world of psak. At a broader level, the fact is that there have been many different perspectives in rabbinic history as to how to relate to Chazal. But since RYGB deems it important for people's stand on these things to be clear, surely he should make his stand clear. RYGB should specify exactly what HE believes the ramifications of Chazal's alleged ruach hakodesh are, for their statements about physiology. In any case, to get back to some of what is being discussed in the thread, I think we are essentially dealing with challenges forced by the fact that outside sources and influences are harder to obliviously reconcile with our old religion. As I wrote in another thread here, the Chasam Sofer used celery for karpas because "karpas" means "celery" in Arabic. That is, he felt that this cognate Semitic tongue shed light on the meaning of Chazal's karpas. Doesn't that sound Conservative? Certainly not! He was using secular wisdom to understand Chazal, not to override them. "The polemical tenor of the debate has often led to sources being cited as unequivocal support for one side or the other without a full accounting of how those sources are being understood. We need to develop a more heightened awareness of the hermeneutic process—an understanding that texts do not simply ‘read themselves’, that sources and data invariably present multiple interpretive possibilities—and we need to be both more self-conscious and more transparent about the reasons we reject some interpretations and accept others. There is, of course, nothing terribly innovative about such an approach: to read a well-crafted responsum is to see the painstaking care with which a posek weighs a number of potential readings of a particular passage before arriving at a final, authoritative interpretation. But without the weight of a posek’s mantle on one’s shoulders, the self-conscious mode of analysis I have described leads one to view meaning in terms of greater and lesser possibilities rather than firm conclusions. One learns to accept the fact that no one interpretation can lay an exclusive claim to truth, and that the best one can do is to build a case for one’s analysis that others will find convincing." Perhaps none. I just want to know where RNS stands on the matter. "At some point I said הש"ך טעה. He gave me that smile that an Adam Gadol often gives you just before he is about to rebuke you and said לא מתבטאים ככה על הש"ך." 80% of Jews are not religious, you know. We tell ourselves its only because they've not been exposed to Torah. But maybe they have? Maybe they've been exposed to Torah attitudes, such as the one above, and they dont like it?? And maybe because for so long of our history they've had no forum or pulpit to express their disagreement, they simply picked up and left? My point is, if one cannot say freely that R. Shabsi Cohen - a mere achron, let alone rishonim and earlier - made a mistake, then pretensions to honesty is right proven illusory. Emes? That's a joke. How can you have a serious inquiry into the truth of any issue, when one side [the "frum" side] is permitted to call the other side names and express their view forthrightly that Ploni is wrong, while the other side can't do that? That's not emes, that's sheker, mitchilah vi'ad sof. This whole debate is essentially Copernicus, Gallilieo, David Hume, etc., all over again. The parallells are precise. Does RYGB really think the Orthodox should follow what the Catholic church did in all those cases? >But since RYGB deems it important for people's stand on these things to be clear, surely he should make his stand clear. RYGB should specify exactly what HE believes the ramifications of Chazal's alleged ruach hakodesh are, for their statements about physiology. So if RYGB won't say what he believes Chazal knew from ruach hakodesh, and admits that there might not be any significance to this in his debate with RNS, why on earth is he bringing it up, and why should RNS respond? I suspect that this is what S. was getting at - RYGB is just looking for some more ammo. >Firstly, upon consideration, I am not sure what is wrong with a "tzitzis check"
Good answer. I admit that evidently I myself checked your tzitzis and got you to acknowledge that this is your point of view. Now the readers know and they will judge. But getting back to Slifkin's tzitzis, let's say it checks out? Then I suppose the next step is to persuade him that he can't think correctly about Chazal and also hold his intepretation? What if he were to insist that he can? I would just say that if you feel checking tzitzis is an element in a question of interpretation then this is not the way of accepting the truth from its source. Rather, it is the way of the inexperienced who suspect an evil inner core in an apparently true statement. I understand that you can always counter that you don't accept this because it's not *true* - that's a legitimate disagreement - but if so then who cares what he thinks about Chazal's perspicacity? You apparently put zero critical scrutiny into a metaphorical explanation by one rav, and an abundance on RNS. I say apparently because by your own account it came out through a quick search. Why not get tough about the other sources and see if they make sense, not only that they exist? I imagine it is because you do not accept the truth from whomever says it, but that truth is what those who you feel speak truth say. I admit that this is also a traditional approach. >Certainly not! He was using secular wisdom to understand Chazal, not to override them. I see, so from now on I can come to an understanding on the issue of esrogim murkavim - which Chazal never mentioned - based on secular wisdom. I can overrule RSZA and make a mezonos on oats and I should encourage my friends to quit eating chrein and instead fix practice based on Yaakov Elman's Persian research - so long as they aid in undestanding Chazal, not in overriding them. You know what, I'm sorry for bringing up the JO. It has nothing to do with this. The fact that you are publicly engaging the issue certainly does show that you do not hold yourself above the fray. Mea culpa. "When I went to Rav Yitzchok Koolitz zt"l to get semicha, I told him a shtickel Torah on Hil. Melichah. At some point I said הש"ך טעה. He gave me that smile that an Adam Gadol often gives you just before he is about to rebuke you and said לא מתבטאים ככה על הש"ך. He was right, of course. It's the same thing that your Rebbe was telling you when he said that we don't call an Amora a "guy". If you don't have אימה, יראה, רתת וזיעה before saying Chazal "made a mistake" - and even then not saying it, really, but לא זכיתי להבין - you have no business in the world of psak. " Don't you get it? He wasn't paskening. He was stating his own reasons for holding a certain way. Every single time he wrote, he acknowledged that he wasn't paskening. And you know what? Whether or not he has business in the world of psak, the fact is, his arguments hold water, and yours are worthless. I think we can juxtapose some comments here. It is clear that DF and I have no basis for conversation. I think I'm right, he thinks he's right, I'm not interested in convincing him and he's not interested in convincing me. Since we regard the system so completely differently, we have no common point of departure from which to consider the system. That is what David T. should understand. If RNS is not of the same opinion as R' Yitzchok Koolitz (RYK), then he's outside the mainstream camp of Halacha - and the nature of the conversation must change. It would mean that I assumed a certain commonality with my colleague in which I was not correct. Now S., who is a very smart fellow, knows very well that DF's attitude won't fly among Halachists. I'll wager he even sympathizes with the perspective that RYK represents, even though it is not politically correct with the avant garde. He is in essence asserting that there is a distinction between my inquiry to RNS and the RYK perspective. I don't think so, and that is why I am waiting for an answer. And, of course, whether RNS is paskening or not is not the point. Jon may think so, but I disagree. RNS is certainly presenting his position as to methodology of psak. It is important for us to know where he stands in the Halachic world so that we can know if his statements are coming from a vantage point closer to RSZA or closer to, say, Rabbi Joel Roth. Of course you can do all that! If you believe Prof. Felix and Prof. Elman to be correct, you should follow them! And you can try to convince others as well. Why not? Not me! Other people evidently had misconceptions. Nothing I have written has been demonstrated to have missed the mark. "That is what David T. should understand. If RNS is not of the same opinion as R' Yitzchok Koolitz (RYK), then he's outside the mainstream camp of Halacha - and the nature of the conversation must change. It would mean that I assumed a certain commonality with my colleague in which I was not correct." This is a classic ploy. Someone who suggests that R. Shabsi Cohen could be wrong is "outside the mainstream camp of halakha." This is a power play using the threat of ostracisim ("galus") to force into line anyone who disagrees with you instead of trying to justify your position. So any statement made by any Aharon (not to mention current Gadol) must by definition be true-- the problem is in our lack of understanding. The absurdity of this position is beyond belief. And its authoritarian implications are truly frightening. If this is true Judaism (which let me be clear I totally reject), then the Atheists Dawkins and Harris are correct in their critique of religion and the world would be better off without it. "It is important for us to know where he [RNS] stands in the Halachic world so that we can know if his statements are coming from a vantage point closer to RSZA or closer to, say, Rabbi Joel Roth." So, this isn't about halachic disputation at all, is it? It is plain to see that RYBG is nogeah badavar. He once defended RNS and now needs to demonstrate to his clan that he is making a break by denigrating him as "Conservative". This is beyond belief. RYGB thinks he can draw the lines as to who is in the camp and who is out? This despite the fact that plenty of the Gedolim would say that RYGB is outside the mainstream camp of Halacha for saying that Chazal sometimes followed the science of their day. And plenty of Acharonim and contemporary Poskim felt free to say that Rishonim were wrong. Actually I think that that RYGB is outside the mainstream camp of Torah for saying that the illustrious Rav Yitzchak Lampronti, author of the monumental Pachad Yitzchak and rebbe of Ramchal, should be put in cherem. That is an anachronistic statement; empirical ≠ scientific. The Babylonian astrologers made accurate, empirically verifiable observations; the belief system that drove them may be viewed as protoscientific, but science as we know it is a modern phenomenon. >Now S., who is a very smart fellow, knows very well that DF's attitude won't fly among Halachists. I'll wager he even sympathizes with the perspective that RYK represents, even though it is not politically correct with the avant garde. He is in essence asserting that there is a distinction between my inquiry to RNS and the RYK perspective. I don't think so, and that is why I am waiting for an answer. You're on the right track, but I'm not really sure I understand where the author of The Warmth and the Light has the confidence to say that he would put the author of the Pachad Yitzchak into cherem. I see expressions of deference as laudable, but only to a point, certainly not to the point where we wind up in apparently embarassing positions. A responsible rav, in my opinion, should *appear* to be pursuing truth. I once posted about how Kaufmann Kohler reminisced that the reason he stopped being Orthodox is because of his Oriental studies in university. His rebbe R. S.R. Hirsch told him, gei gezunte heit, you will emerge unscathed, and instead he emerged a future Reform rabbi. To me the surprise is that you profess the conservative point of view but don't also agree that what was not then threatening is so now, even while you are trying to persuade Slifkin - or the public - that metaphor, not science, belongs in a talmid chochom's critical arsenal. I can see why you'd say that, but apparently you don't. >Of course you can do all that! If you believe Prof. Felix and Prof. Elman to be correct, you should follow them! And you can try to convince others as well. Why not? I'm kidding of course, but isn't this what you just told me I should do? By the way, unless you're really just trying to be polite, why is it so bad to be outside the mainstream camp of halacha? especially where it's lo le-ma'aseh. Those wacky Temanim, god bless them, they don't hold of the Shulchan Aruch. They're not mainstream, but they're not hurting anyone, and no one stops them. Unless you are really being polite, is it a crime to be a little bit maverick? Someone once said to Slifkin that his problem is that he maverick on not one or two pet issues like most normal rabbis, but on all of them. Well. The irony is that RYGB does not even seem to realize that with this statement, he is placing himself vastly further out of Orthodoxy than anything RNS ever said. You keep avoiding this issue. Who cares what perspective he's coming from? Let's say he is Joel Roth. His arguments are what they are. You clearly can't respond to them. If there's anyone out there who thinks you're right and he's wrong, on the strength of your arguments, I'll be very surprised. Not necessarily true, but not necessarily false. Last I checked, humility is a great virtue. I am sorry it is beyond belief. That is nevertheless the way it is. Why would I want to make a break with RNS? He's a nice guy! I hope we end up on the same page! As to KK etc., here we reach an important point. S., you are one of the small cadre of bona fide highbrows in the contemporary milieu. You are the rare creature whom Oriental Studies may yet endanger (hypothetically). But for the Hamon Am (not just Orthodox Jewish! ), intellectual challenges are meaningless in our day and age. Kids don't go OTD now because of Dawkins. BUT... they do use Dawkins as an excuse. Similarly, a fellow who doesn't like normative Emunas Chachamim (and, S. you know - although others will make the mistake of conflation - that I am not referring to "Da'as Torah") does not come to that position on account of RNS. But... he will use RNS as an excuse. And... RNS has positioned himself as the flag to rally round in this cause. Teimanim are not mainstream, but they are not hawking books undermining the SA, or writing Teimani Judaism blogs. So, it becomes important to define boundaries, to know that you can't rally round this position and think that you are merely an outlier within the normative community. That may make you actually think, rather than follow your visceral drives, before jumping from one bandwagon to another. As to murkavim etc., I myself don't feel competent to reach back over the heads of recent poskim to give my own interpretation of what meets Chazal's criteria. But if you do, why should you not go for it? Sorry, the irony is lost on me. I have responded to his arguments. They boil down to: I have determined and demonstrated to my own satisfaction that Chazal did not know what they were talking about. At the same time, I have also determined the values that are core Jewish values. I will now tell you how to apply those values to this situation, irrespective of Chazal, whose misunderstandings render them irrelevant. You could use that exact description for R. Lampronti, for all the Poskim who say that you should be mechalel Shabbos for an eight month baby, and for all those who prohibit worms in fish. Of course, you could spin it more charitably with them, but you could do the same for RNS. "Not necessarily true, but not necessarily false. Last I checked, humility is a great virtue." Humility is not necessarily a great virtue. In fact because of it Jerusalem was destroyed (See story of Kamza and Bar Kamza). If a "Gadol" makes an incorrect or morally repugnant statement, there is no virtue in humbly saying "not necesssarily false." Nu, so I understand is Rabbi Joel Roth. RYGB: "Teimanim are not mainstream, but they are not hawking books undermining the SA, or writing Teimani Judaism blogs." What would be wrong, in your opinion, with a Teimani Judaism blog? To my ear, that sentence sounds awful. Does it actually say what you intend? Please clarify. Why are Teimanim are not mainstream? I haven't read all the posts so if it has been answered please disregard. It might espouse a Judaism that is, in practice, much closer to the Judaism of Chazal than the kind of Judaism most of the rest of Jewry practice today. RYGB: Let's pretend that's what they were. YOU STILL NEVER RESPONDED. ALL YOU DID was pretend that by citing 2 sources from a database search you could wave away every single rishon and the majority of ahronim that disagree with the ridiculous apologetics. THAT'S NOT RESPONDING. If you had a shred of decency, you'd admit it already. But this never was about the truth for you, was it? It is certainly about truth. Courtesy of Rabbi Dr. Riceman I subsequently cited RSG, so the "every single rishon" phrase is, at best, hyperbole. My point in citing results of a quick search was that if this is the result of a quick search - viz., sources that counter RNS's assertion (none of which were mentioned, neither in the web post, nor in the monograph), then more extensive research would likely reveal more - as indeed it does, with the most salient example being a Chazal in Avos d'R' Nassan - also omitted by RNS - that clearly sees the whole structure, including the "counseling kidneys," as metaphor. נפל עוזר וכשל עזור. There was never any evidence to begin with that Chazal's discussion of the determination of death in Yuma had anything to do with the Gemara in Berachos other than RNS's assertion. Now his assertion that the Gemara in Yuma can therefore be dismissed because it was based on a mistake in Berachos is also demonstrated to be based on inadequate research and a rush to judgment. I fervently hope he recants ASAP. Avos D'Rabbi Nosson is no more presenting it as a metaphor than the other sources from Chazal. It's only your complete lack of objectivity - the same thing that led you to instantly accept R. Kamelhar's strained apologetics as credible, and to dismiss the Rishonim - that makes you see it as a metaphor. This is why I am skeptical about the alleged source from Rav Saadiah before having seen it myself. Incidentally, you refer to my having omitted the source from Avos d'Rabbi Nosson, as an example of my poor research or dishonesty. In fact, I referred to it, on page 5. Mamash amazing - you first critiqued my take on kidneys without having even read my monograph, and after a storm of protest which leads you to purchase it (for a one cent donation!) you don't even read it properly! RYGB, when you assert that the reference to the kidneys giving counsel is metaphorical, do you mean that it doesn't literally refer to the kidneys, or that it does refer to the kidneys, but it doesn't literally mean that they give counsel? Had you brought the AdRN verbatim, not just as a glancing reference, it would have stuck with me that you cited it. But you didn't, just referred to a line that you assert to support your thesis. I apologize: It was not an error of omission, it was a willful deception. One who sees a Baraisa in which teeth are doors, the neck a tower, the stomach grindstones, etc., knows we are dealing with a metaphorical passage. The teeth actually do open to let things in, the stomach actually does grind, and corresponding to these, the kidneys (were thought to) actually give counsel. How do you account for Ramban, R. Yehudah HaLevi, and the talmidim of Rashba, getting it so wrong? Also, I resent your claim of "wilful deception." I would be happy to quote the Midrash at length, as far as I'm concerned it's simply further support for my case.
. וישרוף באש החלב המכסה את הקרב ועל הכליות ויותרת על הכבד שהם כולם כלי המחשבה והמסכימים בחטא והמוציאים מכח אל הפועל. וכן הכרעיים נגד ידיו ורגליו של אדם העושים מלאכתו. I don't get it. "A real idiot," flinging charges of "willful deception..." How come this doesn't fit my idea of what a Torah discussion between two distinguished persons should sound like? Depression has long been associated with end stage kidney disease, but a new study published today in the American Journal of Kidney Diseases, the official journal of the National Kidney Foundation, found that 20% of patients with early stage chronic kidney disease (CKD) also suffered from depression. Researchers led by Susan Hedayati, MD, at the University of Texas Southwestern Medical Center, found that the prevalence of major depressive episodes in chronic kidney disease patients is greater than those reported for patients with other chronic diseases including diabetes (11%), congestive heart failure (14%) and coronary artery disease (16%). Researchers studied 272 patients with CKD in stages two through five who they categorized as depressed or nondepressed based on the presence or absence of the Mini International Neuropsychiatric Interview (MINI) diagnosis of a current major depressive episode. One in five patients met Diagnostic and Statistical Manual of Mental Disorders (DSM) criteria for a major depressive episode. "Unemployment, psychiatric illness and diabetes were factors that seemed to contribute to depression in the chronic kidney disease patients we studied," says Hedayati. "Patients with chronic kidney disease should understand that they are at increased risk for depression and ask physicians to monitor them regularly for signs of depression. "Early screening is especially important since depression is associated with poor outcomes in patients with end stage kidney disease. In fact, long term dialysis patients with clinical depression are twice as likely to die or require hospitalization," continues Hedayati. The National Kidney Foundation, Inc.
"We assume that those thought processes are those of human beings far greater than ourselves – of rishonim k'malachim." What do you think he was referring to? It seems to me that there is a possibility which RGB did not fully articulate, and which RNS does not appear to consider; it may have to to with the "tzitzis check." First, it's plain that the physical means that Chazal had to determine death were limited and that today's technology and scientific knowledge make precision and great, if not yet 100% ( a legitimate concern from a halachic standpoint) certainty -- palpation, observation with the unaided eye, and hearing with the unaided ear. Second, the information demanded by Chazal to determine death could not depend on special skills or abilities; the observations featured in the discussions of violating Shabbat to save someone a wall fell on, etc. are and must be within most peoples' capabilities. On the other hand, the least member of Beit Hillel was capable of raising the dead; it's not much of a stretch to assume unusual perceptiveness of spiritual things as well -- perceiving the moment when the soul permanently leaves the body, for example. Such a person would be in good position to correlate that observation with the more commonplace observations of respiratory movement of chest, abdomen and nostrils, or pulse and so on. For the rest of us, pulse, etc. is the proxy for the real datum, regarding which nobody alive today is in a position to say "anan sahadei." Let's take the Ramban as an example. You misread it. You understand "keli" here to mean "vessel." It does not. It means "tool." I don't care if it means vessel or tool. It's clearly saying that it's function is to give counsel. The Tziyoni you cited says so explicitly. And it's not surprising that Ramban put the neshamah in the brain; after all, he lived in 13th century Spain. Do you understand what that medical paper means? Clue: It is not saying that the kidneys cause depression. But even if it was saying that, that is not what the Kuzari is saying, nor what the Gemara is saying. Besides, have you now moved away from being certain that the Gemara is allegorical? R. Slifkin, please don't get so upset. Couldn't you have said everything above dispassionately? Freaking out does not help your position. Probably, RYGB paid you one penny for the monograph because that's what he felt it was worth. Perhaps once he read it he changed his mind. Clearly, though, you mention it to cast him as some kind of cheapskate. You don't need to do this to make any of your points! The more RYGB writes the less I understand his position. RYGB, are you saying the kidneys cause depression based on the article????? I thought the article was saying that the hardships of the disease cause depression, just like diabetes and other hard to manage illnesses. The point seems to be that dialysis is difficult to endure and can lead to high rates of depression.But I'm no doctor so maybe I read it wrong. Second, I have no idea why it matters whether keli means vessel or tool. You haven't really explained your point here. Third, I notice that you attack Rabbi Slifkin in a way that many others do. You read the passage differently with no objective proof that your reading is better. It is human nature to read a passage and impose our 20th century thinking on the words. Rabbi Slifkin is suggesting we read passages with a rishonim-era mindset and then compare the two readings and see which fits better. I notice that often times the latter fits better, and it's not surprising, if you think about it. It shouldn't even be controversial. There are teymani Judaism blogs! I very much enjoy a few such sites. And the authors certainly 'hawk' their respective versions of teymani perspective. I have seen in many places on the internet Teymanim asserting openly and strongly their historic right to not follow shulhan aruch and asserting that their own way is correct like everyone asserts about his own way. And indeed, in addition, you will find quite easily teymani sites dedicated to discrediting the zohar... another one of their historical teymani perspectives (of course they are not monolithic). I only wish that S would explain to a simple guy like me what is the danger of arabic language. Yitz Newton: two reasons. A) You haven't read too many correspondences between distinguished Torah scholars. B) Because one is a distinguished Torah scholar and the other is engaging in blatant obfuscation. Yes, I got angry with him. I put up with a lot, but this business really takes the cake. As I pointed out, he slammed me for being "flippant" and borderline Conservative, when he hadn't read my monograph, hadn't read my blog posts carefully, hadn't learned the sources, dismissed all the Rishonim and early Acharonim based on some incredibly weak 19th century apologetics, licenses huge reforms of Jewish tradition, and felt entitled to quote his rebbe that Rav Lampronti should be put in cherem! It says nothing of the sort, neither in the Ramban nor in the Tziyoni. You evidently see the word יועצות where you want to see it - it's not there. The difference between a "tool" and a "vessel" is that a vessel contains something. The vessel of thought is the brain. A tool is means by which that thing executes a plan. The kidneys are among the tools by which the brain operates. Clue: It is not saying that the kidneys cause depression. But even if it was saying that, that is not what the Kuzari is saying, nor what the Gemara is saying. Besides, have you now moved away from being certain that the Gemara is allegorical? I do not purport to know if the Gemara is merely allegorical or medical. You purport to know. But perhaps it is not the kidneys, but it is a gland attached to the kidneys. And the remarkable thing is that the Chida evidently knew about this! Many brain chemicals ("neurochemicals") and hormones have been linked to the development of depression (e.g., norepinephrine, dopamine, thyroid hormones). However, research studies have implicated disturbances in the serotonin (5-HT) system and the Limbic Hypothalamic-Pituitary-Adrenal (LHPA) axis as two of the neurobiological alterations most consistently associated with mood-altering illness. (18)(36)(24)(39) Recent work, in fact, has strongly suggested that the interaction between these two biochemical systems may play a significant role. Adrenal glucocorticoid (the "stress" hormone), which helps regulate your metabolism and is produced by the adrenal gland, a tiny gland that sits on top of the kidneys, interacts with serotonin 5-HT receptors in the brain during conditions of chronic stress or severe allostatic load." This is not surprising, as we have known from studies on animals that the two systems are linked in a variety of ways. (33)(7)(30) One of these linked regions, the limbic HPA axis (LHPA), regulates arousal, sleep, appetite and the capacity to experience and enjoy pleasure, as well as the control of mood. As the list of symptoms at the beginning of this article indicates, the functioning of each of these areas can be disturbed in a depressive episode. "Yes, I got angry with him. I put up with a lot, but this business really takes the cake." What frustrates me, is that after almost two years actively pursuing some kind of stable, at-peace understanding of the issues you speak about, I'm still not there. I still find myself amazed at some of the arguments that very intelligent people bring against (and in favor) of your approach. But I guess it's not the Jewish people's first case of that. Now, what are you claiming the Ramban interprets the Gemara's phrase "kilayim yoatzot" to mean? And how are you suggesting that Ramban interpreted the Scriptural accounts of God judging a person via investigating his heart and kidneys? And with regard to your claims about the Chida - are you now suggesting that the Gemara is in fact literal, and scientifically accurate? "I suppose when the emes of the issues is as close to your heart as these are to you, one can't help but get angry. " It's not that. I don't get angry when people say stupid things. I get angry when people claim to be in a position to criticize me, when they haven't even done basic research, on either the subject matter or my own writings. And when they accuse me of being "flippant," when they are casually dismissing great Torah scholars without even bothering to think about their approaches. And when they accuse me of having an "agenda", when I present all sides of the issue, and their agenda is blatant! It's the sheer hypocrisy that I find galling. I don't know. Neither do you. This Ramban has nothing to do with that Gemara. OK, I've answered your questions. Let's get back to mine please - the Gilui Eliyahu and Malach HaMaves inquiry? Really? This Ramban has nothing to do with the Gemara? Let's see. The Gemara says that the kidneys give counsel to the heart. Ramban says that the kidneys of the offering are burned since they correlate to the machshavah aspect of the sin, in being tools of thought and desire. And yet you confidently assert that the Ramban has nothing to do with the Gemara?! His explanation is very similar to that of Ramban (as they often are), but he actually describes the kidneys as klei eitzah. Is this also nothing to do with the Gemara, which describes the kidneys as giving eitzah? If you don't know the answers to any of my questions (perhaps more accurately, that you profess not to know them, or refuse to think about them), then there's really no point in our discussing the topic. What's the point in having a discussion with someone who claims to have no idea what anything means, or even what he himself thinks about things? "And how are you suggesting that Ramban interpreted the Scriptural accounts of God judging a person via investigating his heart and kidneys?" "I don't know. Neither do you. Perhaps it meand that He takes into account imbalances caused by the adrenal glands when judging a person..."
What a reversal of positions! People attack RNS for trying to reconcile Torah and science saying the Torah must be taken literally even if its contradicts science and that science is wrong. Now RYGB attempts to reconcile Chazal and the Rishonim with science with RNS saying that they must be taken literally (albeit rejected). RGB: Why not bite the bullet and say that the Kidneys provide counsel and that modern science is wrong? Why seek confirmation from science which is wrong in so many other areas and in any case is constantly changing? [i] a purely methodological critique of R. Slifkin's argumentation? [ii] premises from which you infer that he could not possibly know? RYGB, the reason why you are saying that "you don't know" what the Ramban means is because we - in modern times - have no idea what it means that kidneys advise, counsel, etc. However, if we reframe our perspective to those times it seems quite obvious what these statements are referring to. Does the Talmud mean that "the kidneys give eitzah" or does it mean that the kidneys are the sole source of eitzah? If the latter, then I guess they'd be responsible for sin. But if the former, it's not so pashut. I am finding this entire discussion very interesting and enlightening. I have one request to RYGB, please try and answer questions directly without changing topics and without the lengthy unrelated material which seems more like an attempt to obscure the issues that are not working in your favor. Clearly, the Rambam believed that the appearance of Eliyahu is not necessarily an event that should be taken literally, otherwise, he would not try get around the Poshut P’shat of the verses and Midrash. Furthermore, Eliyahu is referred to as the “Malach Habris”, which indicates that his post-physical categorization is that of a Malach. It is well known that the shita of the Rambam (quoted by RambaN in parshat Vayerah) is that a human being is unable to physically see a Malach and that visions of Malachim are manifestations of Nevuah. Since we know that Chazal were not Neveim, their visions of Malachim (such as Eliyahu) would fall under the category of Ruach Hakodesh. The primary difference between Nevuah and Ruach Hakodesh is the level of clarity. While Nevuah is absolutely clear in its message, Ruach Hakodesh can be on many different levels of clarity ranging from Chazal to the Beis Yosef’s Magid to the spiritual inspiration contemporary Rabonim. Off the topic but I cannot resist. Avi Katz, have you read Beis Yosef’s Magid before you consider this to be a manifestation of Ruach Hakodesh? One of my favorites is the magid telling BY to drink 14 cups of wine on Shabbos because this is the sod of the name Shadi! Shin plus yud daled the gematria of 14. On the topic. If a non-Jew had written what RNS did why would it make any difference? Text is text and facts are facts? Is not it the subject of a discussion that is important? Or is it who said it rather than what is being said? This goes for Beis Yosef’s Magid as well. I care only about the substance and always being a lady (or a gentleman). shadal raises another interesting point regarding Maggid Meisharim being written al kiddush Hashem. many times, the maggid promises Rav Yosef Karo that he will be merit to die by being burnt al kiddush Hashem. yet this did not occur. Carol, I have not read BY’s Magid. I believe it to be a manifestation of Ruach Hakodesh because the BY is such a major element in the Mesorah of Torah. I suppose this answers your second question as well; the” author” is more important than the text. RYGB’s point is that if RNS doesn’t believe in what RYGB believes to be an “Ikkur Hadas,” then people should not give credence to RNS’s writings. Personally, I agree with RNS. Well, Josh there are dozens of promises that were never fulfilled but my point is to focus on the absurd ones. How about this one: 'Your sons will be the heads of Sanhedrin'. Personally, I think the attribution to Beis Yosef is a forgery. oops! i should double-check before i post. the first "al kidush Hashem" should read "with ruach hakodesh". In other words, one particular pre-scientific era (and so uncontaminated by a modern's impulse to to "prove" that science supports the Torah) Torah opinion is supported by modern science; of course other pre-scientific era Torah opinions are unsupported or even contradicted by science. Up until science spoke, was there an objective reason to prefer the Chida? Or, are you then going to say that science has proven the Chida right, so from now on you're going to pasken like the Chida? Or that you're going to buy the criticism/contradiction as well, isn't the most you can say that science can be consistent with Torah? And wasn't that pretty how Rabbi Slifkin argued that since an old universe is supported by some Rishonim, believing in an old universe doesn't exclude you from the Torah camp? I know there are various ways in which one may interpret Gilui Eliyahu. I want to hear from RNS his position on the matter. If you are of the opinion that the Beis Yosef was delusional, why would you feel bound by his Shulchan Aruch in any way? And if he was not delusional, then surely you do not dismiss the MM? "קבלה בידי וכן ראיתי מדינים מומחים וכן דן אנכי ובא מבלי [א' שלא] לטעון קים ליה כדעת החולק כיון שהרב ב"י ורמ"א שמו זכרונו אחרי הדלת אין לחוש לו. וקיימו וקבלו חכמי הדור לשמור ולעשות ככל האומר במטבע הקצר ש"ע והגהת רמ"א. ולדעתי אין ספק כי הכל בכתב מיד ה' השכיל על ידם, כי קושיות רבות שהקשו עליהם אחרונים ותירצו בדרך חריף ועמוק, וכמו כן כללו במתק וקוצר לשונם דינים הרבה, ולאין ספק שלא כוונו להכל, כי איך היה אפשר לרב המלאכה מלאכת שמים שהיה עליהם, ומי הוא הגבר שיעשה חיבור על כל התורה לקוח מכל דברי הראשונים ואחרונים ולא יכבד עליהם מלאכה מלאכת שמים, רק רוח ה' נוססה בקרבם להיות לשונם מכוון להלכה בלי כוונת הכותב, וחפץ ה' בידם הצליח. ולכן ח"ו לומר קי"ל נגד הכרעת המחבר והרמ"א"
Due to the extreme importance of the question I will repeat myself. YGB, I don't believe that the maggid is from BY. It's full of giduf, chiruf and naaza klapei HKBH. To associate one of the Holy names of the Almighty G-D with drinking 14 cups of wine is a crime. One of the things I like about the Chareidi world, which I am a part of, is putting on a hat before saying a brocha. It practically expresses the awe one should feel when pronouncing the name of the Almighty. I love it. Why would anyone be obligated to share R' Yonoson Eyebeschutz's opinion? I certainly don't. Please explain? Why don't you ask us to check in our brains and hearts before we learn Torah? So you are willing to accept divrei giduf klapei The Master of the Universe because BY supposedly said it? And yet believe that it was said be ruach HaKodesh? Please read it and also Shivhei ARI z'l, Chezionos HaRav Chaim Veital, Shivchei Habesht, Shivchei HaRan etc ... By the time you finish one of them you will have no clothes left because of the number of krios you will have to tear. Really? Hm... Well when I was at R' Zvi Yehuda Kook zt"l's house for Seudah Shelishis (girls could get in), I came out thinking that we've got to have separation of religion and state to save the country from these dangerous fanatics and the chareidim. The story you heard there is right up their alley. No problem with that story, it doesn't insult the Almighty and you are free to take it any way you want. "If you are of the opinion that the Beis Yosef was delusional, why would you feel bound by his Shulchan Aruch in any way? And if he was not delusional, then surely you do not dismiss the MM?" secondly, even if he was delusional, what does that have to do with his halachic writings. I don't worship the man. he wrote an exceptional peirush to the Tur, where he lays out his reasoning in great detail. Similarly to the Rambam. And then, in Shulchan Aruch, he gives the conclusions of his halachic analysis. even if he WERE meshugga ledavar echad, that doesn't mean that he is meshugga lechol haTorah kulah! Similarly, I can think that Rav Yonasan Eibeshitz was a great talmid chacham and often agree with the Kreisi ufleisi on Shulchan Aruch, even IF it turns out that he was a closet Sabbatean kabbalist, as is indeed likely the case. indeed, that is perhaps a useful approach. i could understand how Rav Yosef Karo could think it though, given his efforts, with Mahari Beirav, to re-institute semicha. Surely a Sanhedrin would be the next step. I believe it to be a manifestation of Ruach Hakodesh because the BY is such a major element in the Mesorah of Torah. One side of that coin is "The mesorah is infallible, i.e. could never be derailed." The other side is "The mesorah is too big to fail." RYGB in his challenge about rejecting the SA seems to be taking the first for granted. So how much of a discrediting of the MM, for example, would be required to throw question on the BY's oeuvre as a whole? Historically, do we have cases of dead ends in the mesorah like that? RYGB, regarding the Tumim you brought, combining an argument from incredulity with an argument from authority is probably not going to accomplish much here. No amount. The work is so great and it speaks for itself. No made up fairy tales will discredit Beis Yosef. I have written a long comment, but put it in my blog. Upshot: Brain-death advocates are writing goal-driven psak that ignores history of science, RNS is writing history of science, RYGB pretends the history didn't exist.